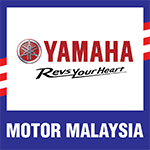 Mohd Zamri Baba levelled himself with rivals in the SuperSports 600cc class as he qualified for a second row start for Sunday’s race at the Sentul International Circuit, Indonesia, host to the second leg of the 2012 PETRONAS Asia Road Racing Championship.. The PETRONAS Hong Leong Yamaha rider qualifed for fourth spot on the grid based on his qualifying time of 1’31.015s while compatriot, Azlan Shah Kamaruzaman took pole alongside Ryuichi Kiyonari and Katsuaki Fujiwara on front row. Meanwhile, Mohd Azhar Abdul Jalil (Motul Yamaha YY Pang Racing) was the best Yamaha rider in the Underbone 115cc series having qualified for 13th spot on the grid.